In April, during Easter holidays and Summer months (June, July, August and September) turn yourself completely (or almost) into surf! Our clinics are a place to spend your free time, having fun and making a lot of friends, but also a time for intensive learning - you can spend the day with us from 9 to 6 p. m. When you return to school your surfing level won't be the same anymore. Our Clinics are intensive surf courses complemented by other activities. Get ready to make new friends also passionate for surfing. If you are a beginner you will learn faster; if you already surf you will evolve a lot. That's right, they are limited and usually filled quite quickly so book right away. Free time occupation periods and an intensive surf course. 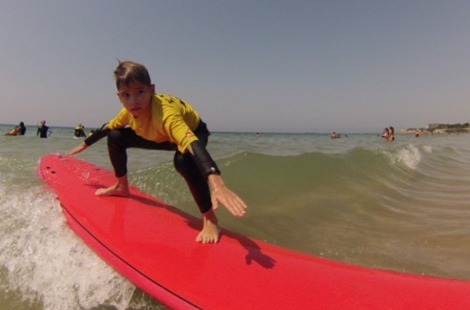 Schedule: on weekdays from 9 to 6 p. m.
In Carcavelos (until 11 years old) and on other beaches (over 11 years old). The next Surf Clinics are around the corner...specially if you are anxious :) Bookings are open and you already know we have limited vacancies. If you don't want to miss this opportunity you better start asking your parents and contact us to book your place. Meet you here? I arrived in Portugal a week ago and this is my first surf lesson in my entire life. My friends told me that Portugal is very good for surfing, therefore I had to try it out and it was amazing. I had a lot of fun and very good experience. Definitely an experience to repeat. And maybe I can bring some friend with me next time. Surfing has been fundamental to Unbabel, it's crucial for the team's well being. 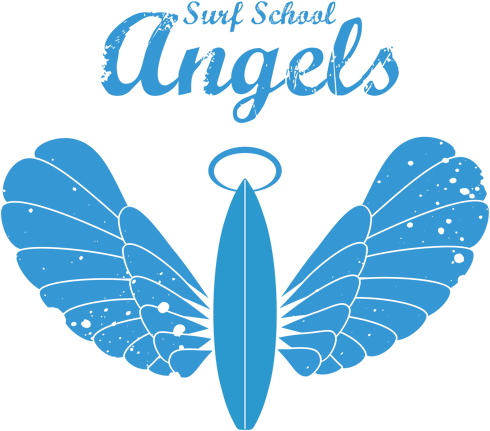 Angels Surf School always delivered an exceptional service and dedication to Unbabel with amazing instructors and a philosophy that mirrors the best of surfing. With them we discover that surfing isn't all about adrenaline, it's also a combination of zen and well-being in life.